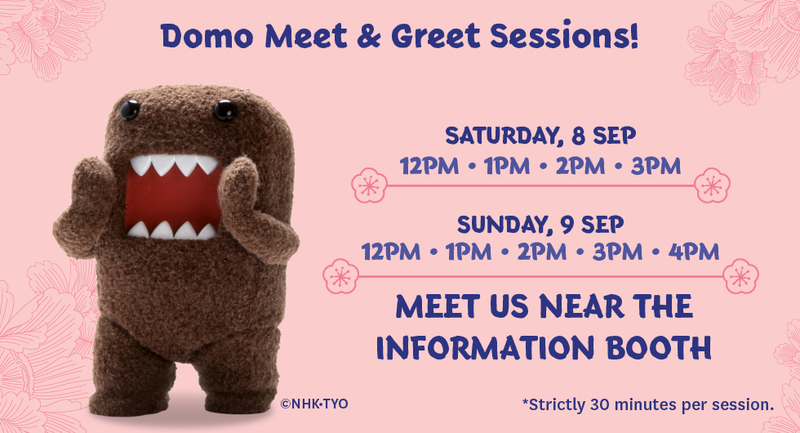 JOIN US AT THE LARGEST JAPANESE CULTURAL AND FUN-PLAY EVENT! 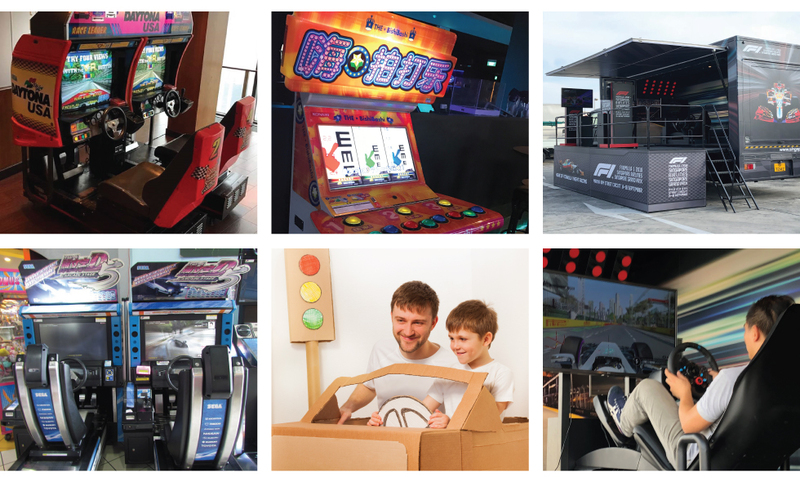 The Japan Summer Festival held in conjunction with Sports Hub Community Play Day is the largest Japanese cultural and fun-play event and first-ever to be held at the Singapore Sports Hub. The event offers visitors an immersive experience of traditional Japanese customs through activities such as the Bon-Odori mass dance, customary Japanese costumes try-outs - the Yukata, over 100 authentic Japanese food and beverage, merchandise and games stalls, a Japanese cultural corner featuring the age-old tea ceremony and koto musical performances, Japanese motorsports arcade games, a Pokémon Carnival and many more. Tickets are SOLD OUT for Saturday, 8 September. We thank you for your support! Please purchase your Sunday tickets onsite at $6 outside National Stadium Gate 6. Admission is complimentary for children below 1.2M in height. For ticket holders, please head to level 3 of the National Stadium and enter via Gate 3 or 5. So hurry and GET YOUR TICKETS NOW! Explore over 100 Japanese Food & Beverage and Merchandise Booths! Join in the Pokémon Carnival! Get your hands on exclusive Pokémon EZ-Link card and charm! 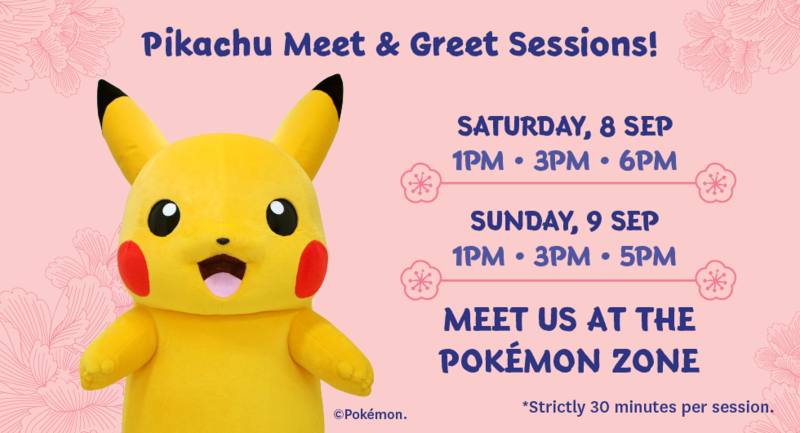 Pikachu and Domo Meet & Greet Sessions! Join us at the WTA Finals tennis activation during the Japan Summer Festival and participate in fun-filled tennis games and enjoy WTA Finals giveaways. Challenge your balancing skills with a giant tennis racket at the Bucket Challenge, try out our Tennis Trivia memory card game or learn to play tennis with our friendly WTA (Women’s Tennis Association) crew at the mini-tennis court. Don’t miss the greatest eight in women’s tennis at the BNP Paribas WTA Finals Singapore presented by SC Global this October at Singapore Indoor Stadium. Come by the WTA Finals tennis activation inside National Stadium and get a special promotion code for tickets. First 100 participants per day will receive a free Fitness Pack (Worth more than $10). Hurry and sign up now! Terms and Conditions apply. Don the customary Japanese costumes - the Yukata! Volunteers will be on-site to assist with the try-outs! Rent Yukata and Obi at $15* only! Let us dress you up at $5 only! Please bring your own Yukata and Obi sash with 2 strings measuring about 2m long each. Strings are available for sale at 2 pieces for S$1 onsite during the event. Just like an authentic Matsuri, there will also be light-hearted games that will test your luck and precision, such as Yo-Yo Tsuri (fish for your favourite balloon! ), Senbonbiki (you win if you pull the lucky string), and Shateki (Gun-shooting) a game where you can target the prize and shoot at it. Try out each game at $2 only! An immersive experience of traditional Japanese customs with a series of Japan cultural performances showcased on stage. Generally held during the Obon (honouring the spirits of ancestors) period, the Bon-Odori is a festive dance performed to instruments such as traditional taiko drums. Immerse in the cultural fun! Also, read about this event in other news! Don’t miss this 2-day event ! Hurry and GET YOUR TICKETS NOW! On-site ticket sales is available outside National Stadium Gate 6. For purchase of group tickets, please contact partnerships@sportshub.com.sg.